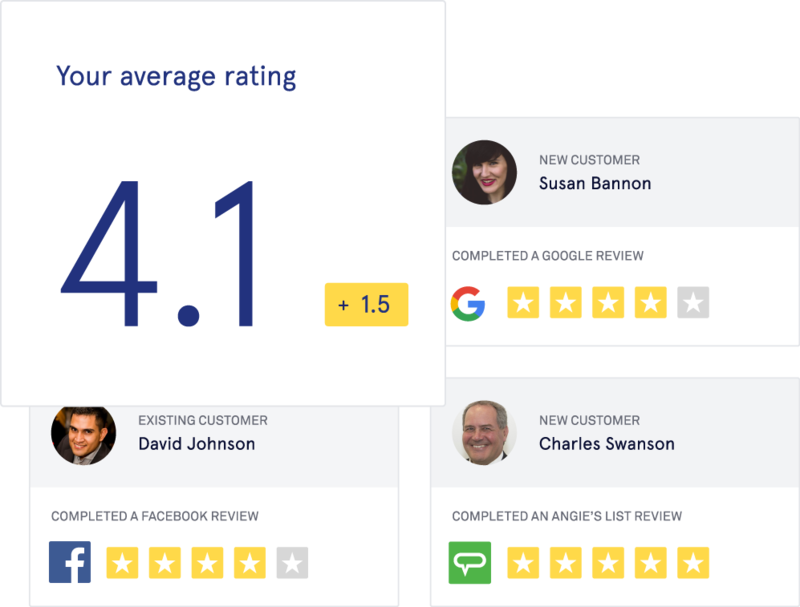 Your great service should automatically generate great reviews, but that doesn’t always happen. Mia reaches out to patients to see if they’d recommend your business and, if they say yes, she follows up with a reminder to leave five stars on review sites. A just reward for the service you provide. Every week, Mia will analyze recent activity and send a report of how many new contacts have been added, who has given a 5-star review and which of your patients have come back again. You can track your successes without ever visiting the site. By collecting emails, phone numbers, and transaction data, Mia knows the offer your patients would most appreciate. New patients get a welcome offer and loyal patients get rewarded for their continued business. Mia even prompts participation in referral programs created just for your practice. Customization when you need it, automation when you don’t. Stay in control of your brand with custom email campaigns, design and review sites that matter most for your practice. 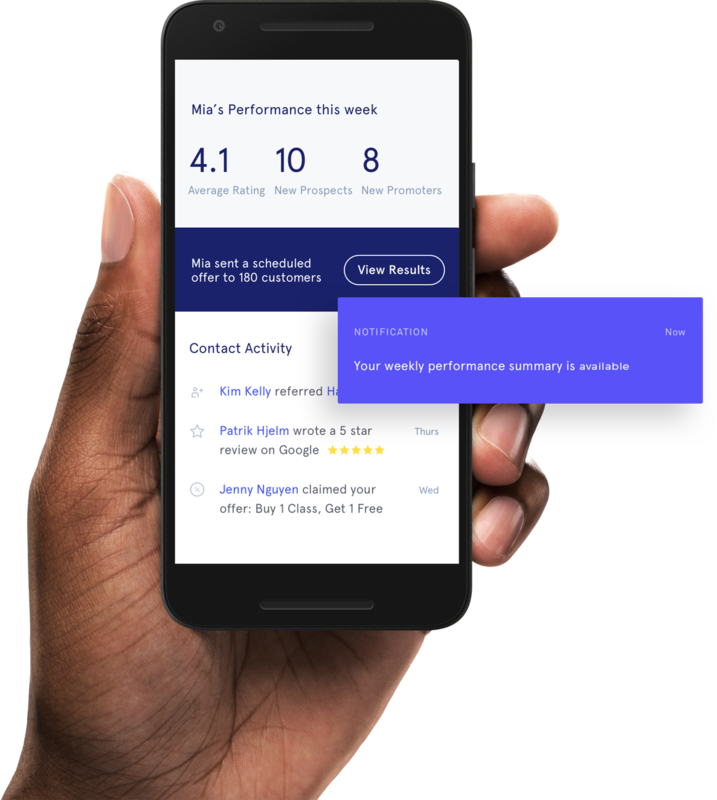 Track and benchmark your net promoter score (NPS) across all of your locations. Get feedback on what's working and what may need improvements. Have a few other technologies running? No sweat. This world-class API allows you to integrate any of your current systems in minutes. Enable purchase tracking to close the loop on your marketing efforts. Transaction data will elevate your message sophistication, providing true 1:1 communication. 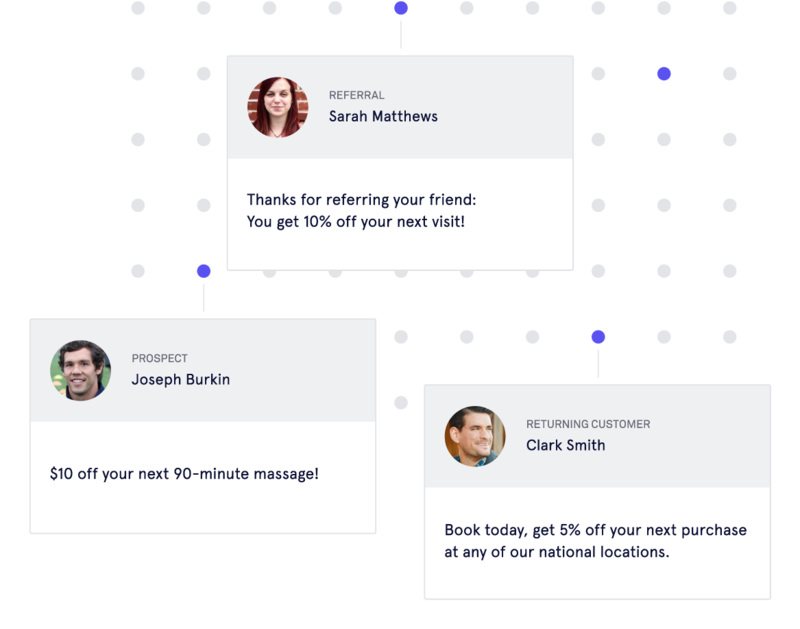 With 8x the engagement of email, Mia also communicates with your prospects and patients via text. Sometimes you just want to speak to a human. Our team is ready to help if you need it. FEED. The Agency is an award-winning physician and dental brand agency. We deliver outcomes that matter most for local medical and dental practices – unforgettable brand awareness, new patients, referrals, more 5-star online reviews, and increased repeat patients.